Jill wanted a fast recovery. Embolization got her back to work in days. 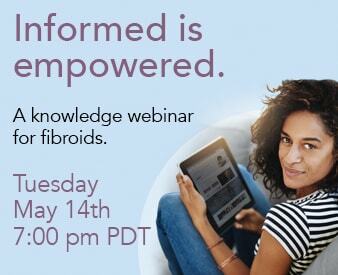 I was thrilled to find an option other than major surgery to solve my problems with fibroids. Better yet was the fact that my recovery was days, not weeks. I missed only one day of work and was swimming even before returning to work. Terry solved a fibroid problem. And started a family. My goal is not only to take care of this pain and suffering, my goal is to number one be healthy and number two I want to be able to be a mother.